Who doesn’t like furniture shopping? Testing and trying different pieces is a fun chance to imagine what your home might look like with a different style. But when it comes to finding something just right for the style your home currently has? That’s a much more challenging task. Portlander and Dolly customer Jacqueline knows that struggle all too well. 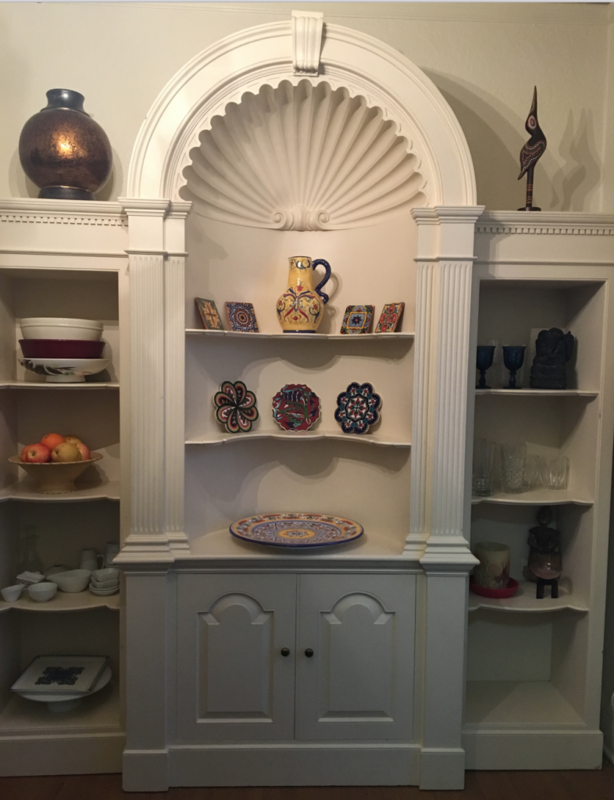 “I live in a period downtown townhouse in Portland, and I’ve long been looking for a dining room cabinet that would match the 1920s architecture.” Her search took her around Portland for months in search of the perfect piece. But when she found it, she found a new problem, too: how was she going to get her perfect piece home? Jacqueline was ready to bring it home that day, but the thrift shop where she found the shelf didn’t offer delivery. “I had no way to move it the few blocks to my townhouse. But a fellow customer overheard my problem and recommended Dolly.” She downloaded the app and submitted her details, hoping that she could get her perfect furniture piece moved home soon. Within five minutes of posting her Dolly, Jacqueline heard back. “Dolly responded immediately and organized the move with professionalism and alacrity.” Her Helpers, Joel and Kevin, sent her a message to let her know they would meet her at the thrift store the next day to bring home the shelf. Joel and Kevin got the shelf into their truck and successfully transported it the few blocks across town. When they arrived, they brought it inside and successfully did the last bits of assembly for Jacquelyn. Finally in its new home, the shelf was a perfect fit for Jacqueline’s unique home–and as far as she’s concerned, Dolly was a perfect fit for her needs. We’re here for heavy lifting (and even extra-heavy lifting) anytime you need it. Book a Dolly for furniture delivery on your schedule.